What Is SAG in Accounting? Revenue and retained earnings both appear on a company's financial statements, and both can give you a sense of how the company is performing. The difference between them boils down to profit. In very simple terms, revenue represents money that comes in the company's door, while retained earnings represents the money that doesn't go back out. Revenue is the money a company makes from its business activities -- selling goods and services, primarily. The revenue that a company reports doesn't take any expenses into account. If Willie's Widget Corp. sells a widget for $10, for example, then that $10 is revenue, regardless of whether the widget cost $4, $10 or $20 to produce. In business, "revenue" is sometimes just called "sales" -- and it is not the same thing as "income." Income is what's left over after subtracting expenses from revenue. The amount of revenue a company reports in any period of time does not necessarily equal the amount of cash that comes in the door during that time. 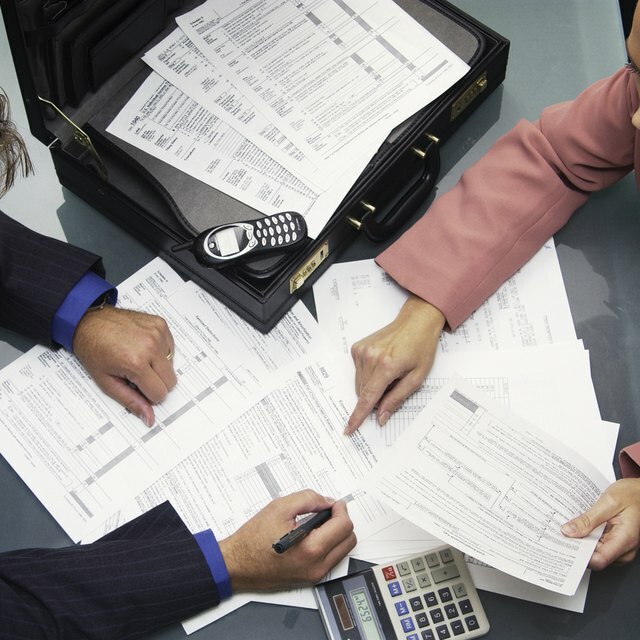 Publicly held companies keep track of their finances using the accrual method of accounting. In accrual accounting, a company reports revenue when it earns money, not when it actually receives that money. For example, Willie's Widget Corp. might fill an order for 5,000 widgets for $10 apiece, with payment due in six months. In that case, it records $50,000 in revenue immediately, because it has fulfilled its end of the deal. It has fully earned the money. On the other hand, if Willie's Widgets accepts a $50,000 upfront payment for widgets to be delivered in six months, it can't record the revenue until it delivers the product -- until it earns the money. A company's income statement starts with its revenue, often called the "top line." It then deducts all the costs of doing business -- everything from raw materials to workers' salaries to interest on loans to taxes. The result is net income, known universally as the "bottom line." This is the company's profit for the year, also called its "earnings." Many companies return a portion of this profit to their shareholders as a dividend, or a cash payment. Whatever it doesn't pay out in dividends, it keeps in the business as "retained earnings." On the company's balance sheet, the retained earnings entry is the accumulated total of all the company's retained profits, minus its losses, since it opened for business. What Is Aggressive Revenue Recognition? As is the case with revenue, retained earnings does not necessarily equal cash on hand. Suppose Willie's Widgets has $1 million in retained earnings, all of it in cash, and the company decides to buy a new widget-making machine for $300,000. In accounting terms, the company isn't really "spending" any of its retained earnings; it's simply converting $300,000 worth of it from cash into equipment. That $300,000 worth of value remains in the company, so the retained earnings don't change. Later on, of course, the machine will lose value. As it does so, that "depreciation" will be reflected as a reduction in retained earnings.